We are the Omaha area’s best mowing contractor and offer professional experienced workers and reasonable pricing for our commercial mowing customers. H&H Lawn & Landscape our mowing crew only uses high quality equipment with trained professionals. Our mowing service includes weekly lawn care services. Our team takes their time on each Omaha business property to avoid any damage. 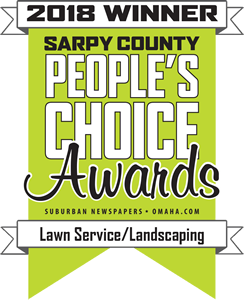 Call our Omaha landscaping and lawn care experts at (402) 916-9500 to schedule an appointment for a free lawn care consultation. We will listen to your ideas, wants and desires incorporating them into your lawn care program at your Omaha business.